Even Stevens is one of those iconic Disney shows that basically defined a generation of children. '90s children remember well the adventures of overachiever Renee "Ren" Stevens and her troublemaking brother Louis Stevens — a.k.a. 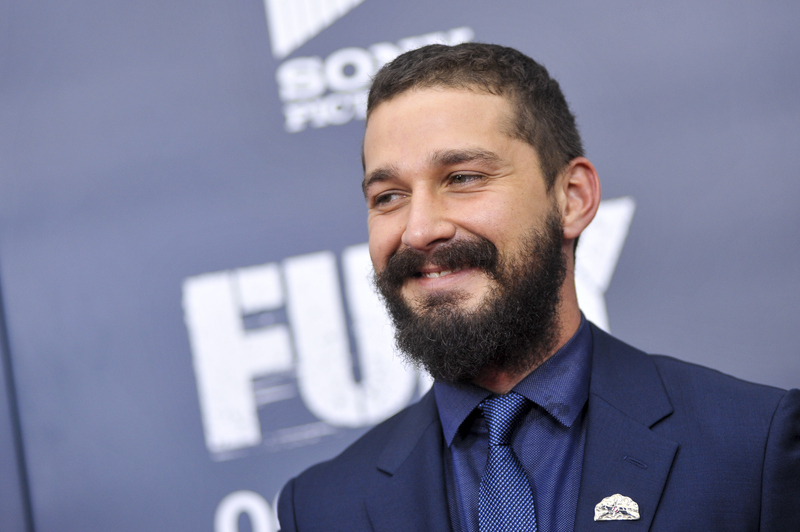 the role that made Shia LaBeouf into a household name. LaBeouf might not be famous anymore, but he can't escape the legacy of Even Stevens, even if that legacy is mainly used to chart how far he's fallen. Now ABC Family is planning to show two episodes of Even Stevens as part of their That's So Throwback week and, quite frankly, of all the former Even Stevens stars, LaBeouf is the only one that's still in the mainstream public eye. Considering how close the family (and friends of the family) seemed on the show, I have to wonder: is LaBeouf still friends with anyone from Even Stevens? Sadly, the answer appears to be a hard no. If you're still lighting prayer candles for some kind of Even Stevens reunion, then you should probably keep them lit. LaBeouf hasn't reportedly been seen out with his co-stars from the show since he was on the show — you can find dozens of pictures of the actor palling around with the cast from between 2000 and 2003, when the show ended, but it's been over a decade since he's been seen with any of them. Of course, it could just be a matter of time. LaBeouf has been incredibly busy with his film career and his legal troubles and wearing a paper bag over his head at red carpet events. That doesn't leave a whole lot of time to ring up Beans and ask if he wants to grab a frap, you know? The last time Christy Carlson Romano and LaBeouf spoke of each other was in January 2014, when Romano expressed her support for LaBeouf throughout the scandals plaguing his career. However, the last time they were reported to actually be in touch was in 2008, when she told People that LaBeouf jokingly calls her "sis." Nick Spano hasn't kept in touch with LaBeouf at all. In fact, the two were rarely photographed together even when Even Stevens was still on TV, so it's quite likely they've never been particularly close. Tom Virtue and LaBeouf reunited post-Even Stevens when Virtue was cast in a small part in Transformers: Dark of the Moon. Ironically, this was the last Transformers film that LaBeouf appeared in. Even worse, Virtue and LaBeouf don't even interact in the film, so it's unlikely they met on set at all. Donna Pescow took a three year-long acting break following her stint as the Even Stevens matriarch. She and LaBeouf don't appear to have spoken, or spoken about, one another during this time. Much like Pescow, A.J. Trauth and LaBeouf don't seem to have kept in touch at all despite how close their characters were on the show. However, Trauth and Romano went on to do another project together after Even Stevens. You might remember a little thing called Kim Possible. Margo Harshman has gone on to appear in a lot of TV series and made-for-TV movies since her Even Stevens days, but, sadly, while she and LaBeouf made our hearts melt as Tawny and Louis back then, off-screen they don't seem to have had much in common at all. Beans might have been a breakout character on Even Stevens, but in a post-Even Stevens world it appears that Louis and Beans drifted apart off-screen. (Not that Louis and Beans were all that close to begin with half the time.) While the old Disney Channel show might have captured our hearts and minds throughout our childhoods, that doesn't necessarily mean that the cast was like family behind-the-scenes. And there's nothing wrong with that — even if it means our chances of an Even Stevens reunion selfie are going way down.